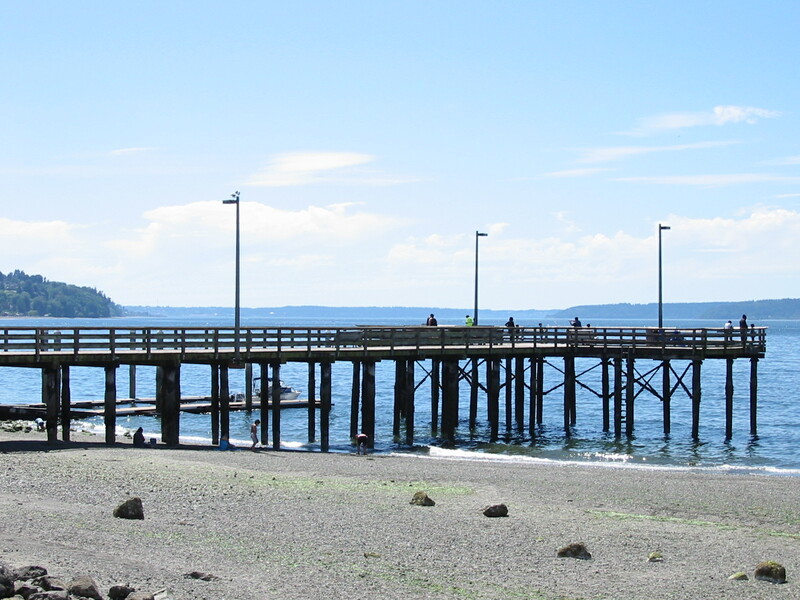 Redondo beach is one of the many hot spots for Salmon fishing in the Puget Sound area. When the salmon are running it can be hard to get a place on the dock to cast in, but most anglers are more than happy to move over and give a little space for the next guy. Redondo beach pier is a great place to take the kids and enjoy the day. Pitching lures, herring or bottom fishing is the soup de jure. To view our map to the Redondo Beach Fishing Pier see the Redondo Beach Fishing Pier map below. To view our time table chart that indicates the species of salmon that inhabit this area and when they run this body of water, become a member of Lunkersguide.com Today!!!! Redondo beach fishing pier is open to Salmon fishing year round. This fishery generally allows 2 salmon per day, release wild Chinook. Herring, Smelt, Candle fish, and Shrimp. Hand to Hand. When the Salmon are sunning it’s every man for themselves and as always eye protection is recommended! To view our Lunker Location fishing access map that shows exactly where this location is, you must first become a member of Lunkersguide.com. Sign up today and get access to all of our Salmon and Steelhead fishing location maps and to our free Lunker Alerts SMS/Text message fishing Alerts system which covers over 37 rivers in Washington. With a Lunker’s guide membership you’ll be well on your way to catching more lunkers!